The credit for this one belongs to a co-worker. Should we ever get rich off this specific Snark, I'll make sure to cut him a portion of our proceeds. Snarky: Damn it. Figures. 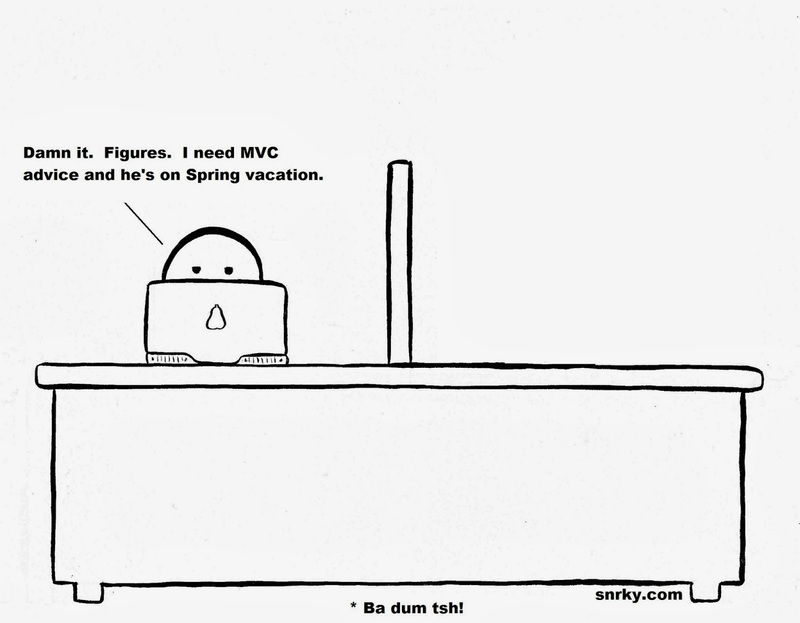 I need MVC advice and he's on Spring vacation.